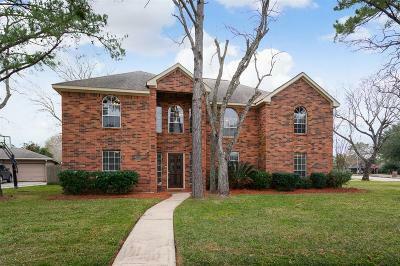 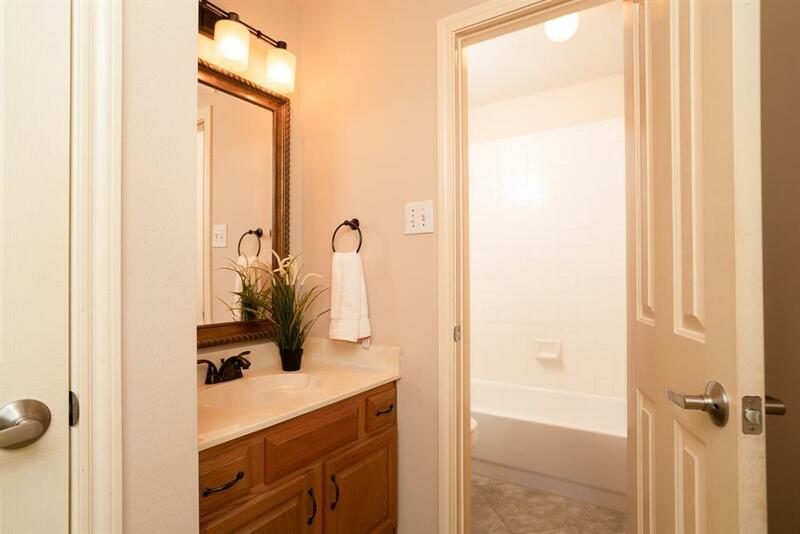 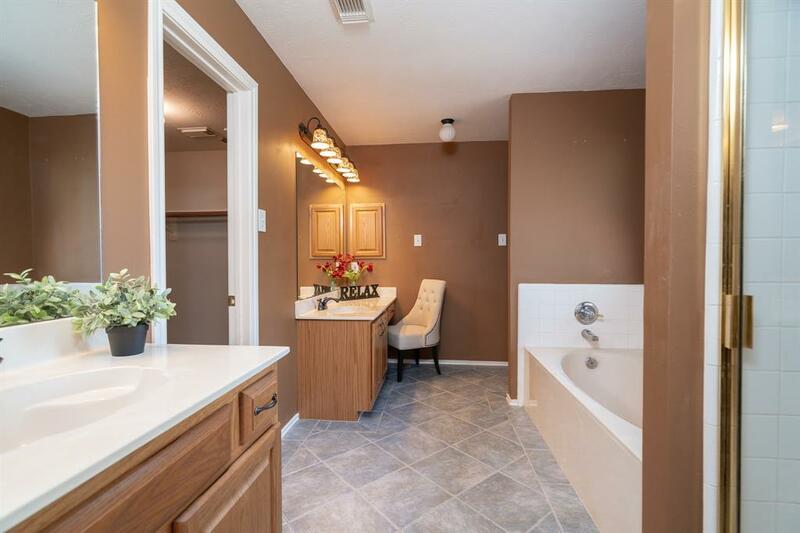 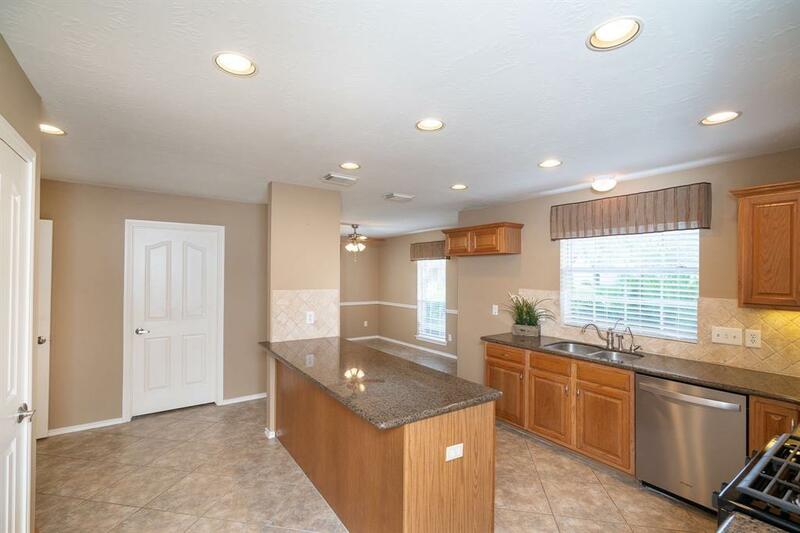 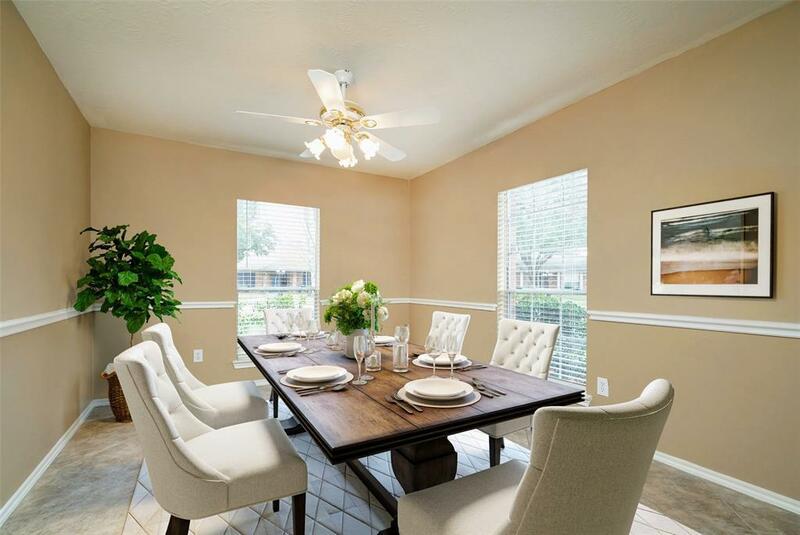 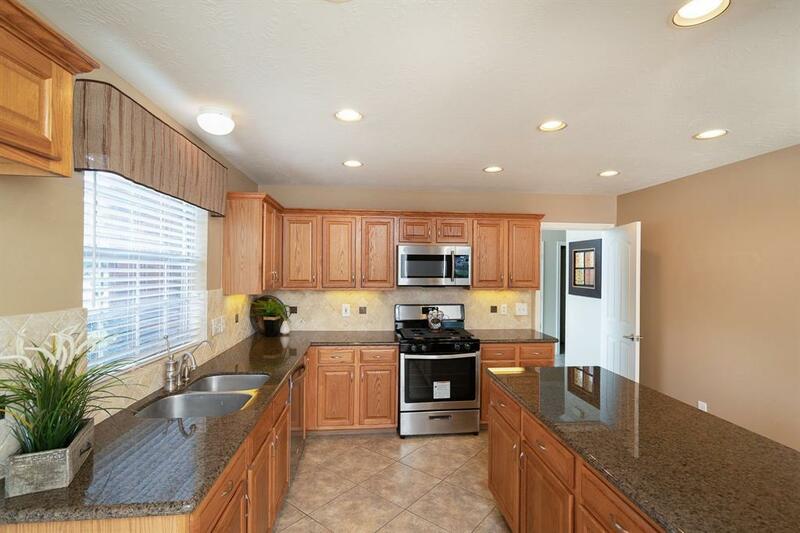 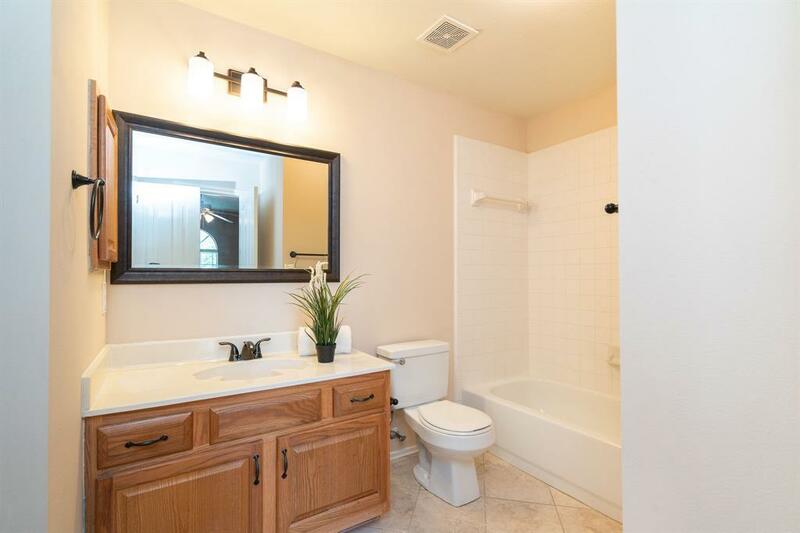 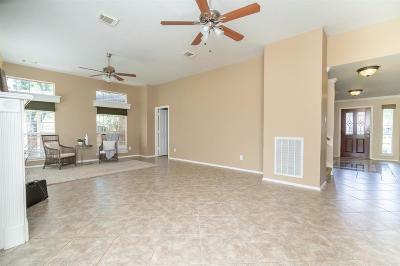 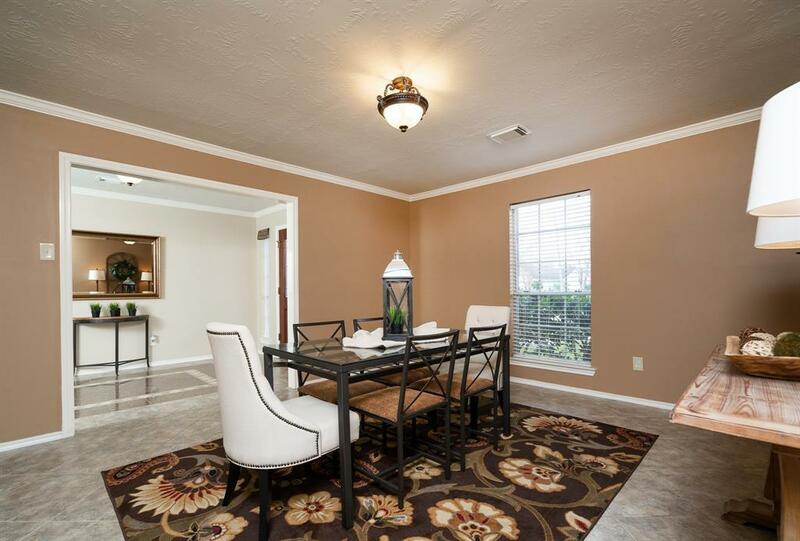 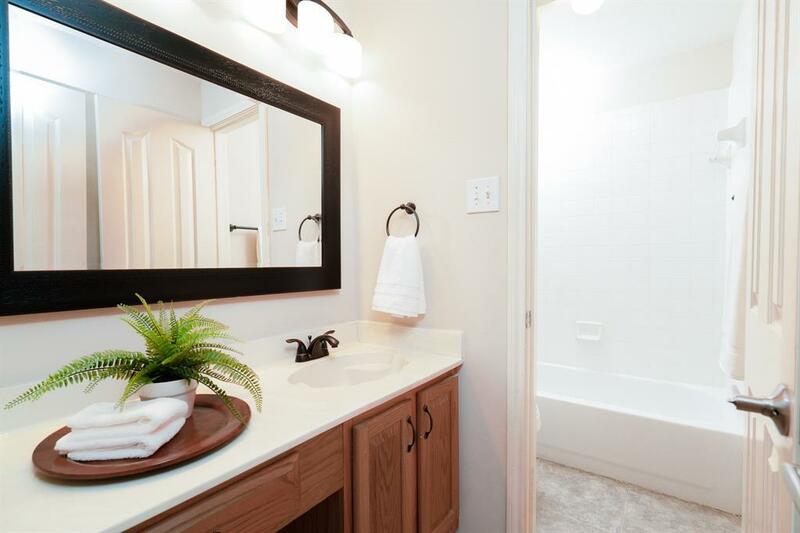 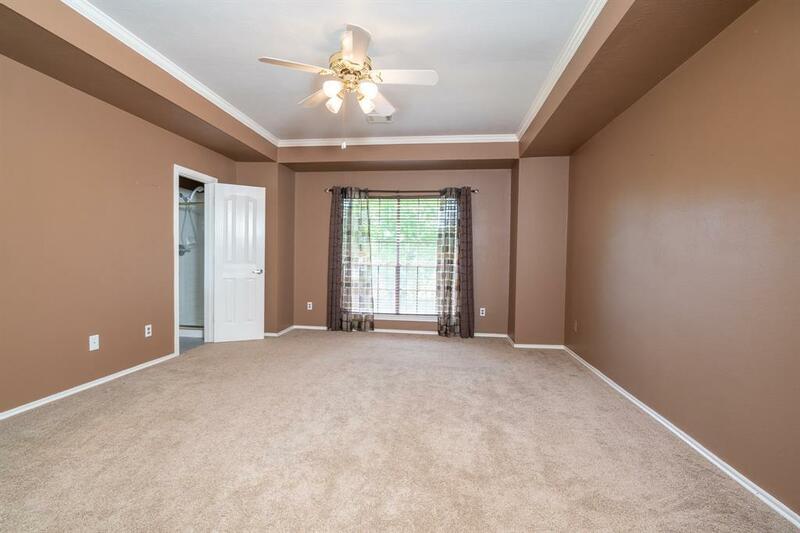 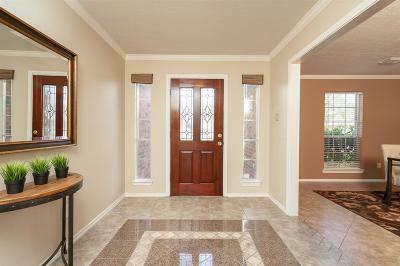 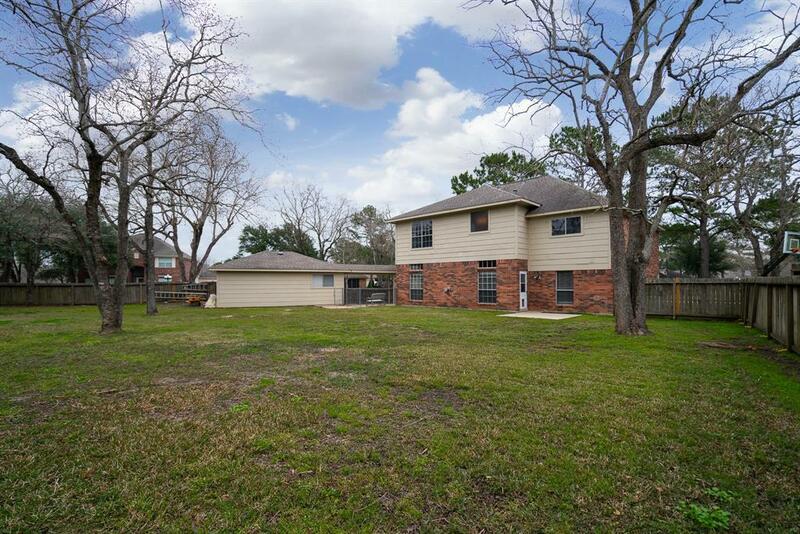 Spacious two story 5 bedroom home on a sprawling corner lot in Friendswood ISD! A covered front porch with Ring doorbell opens to an inviting foyer with decorative tile inlay, freshly painted formal dining room with tile flooring, and an updated kitchen with granite countertops, a tumbled marble backsplash, under cabinet lighting, recessed lighting, a large walk-in pantry, desk station, attached breakfast room, and nearby utility room with wash sink and storage space. 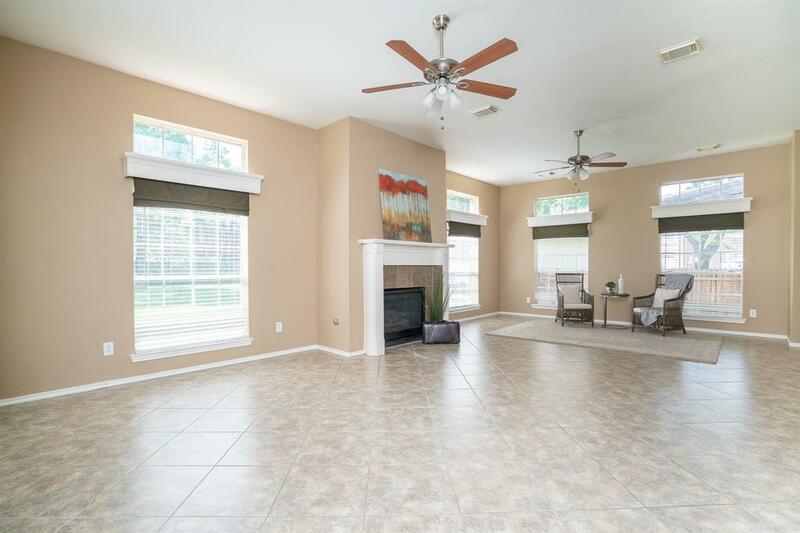 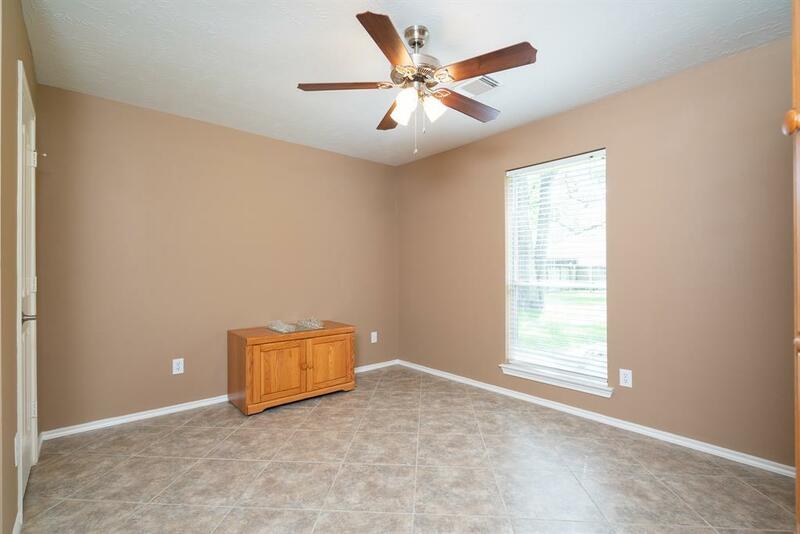 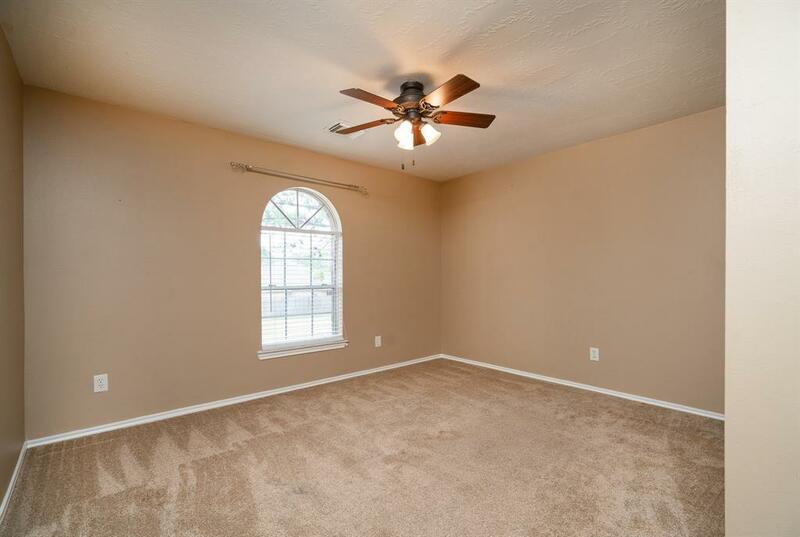 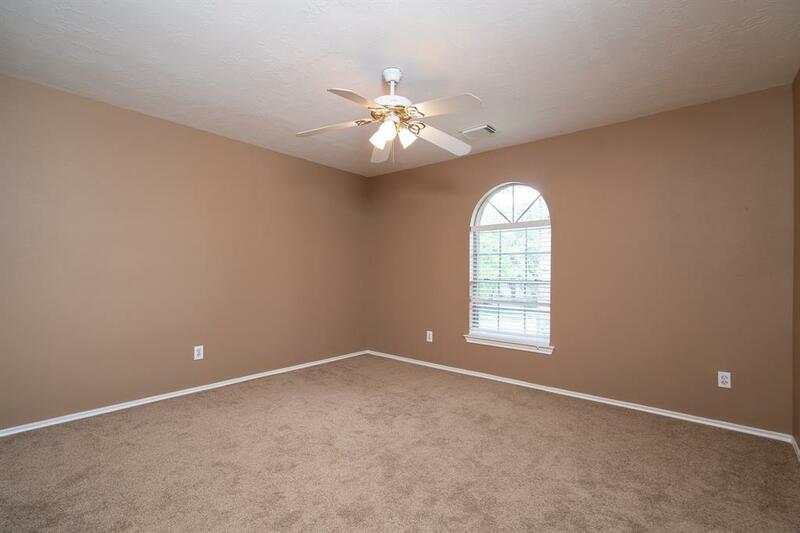 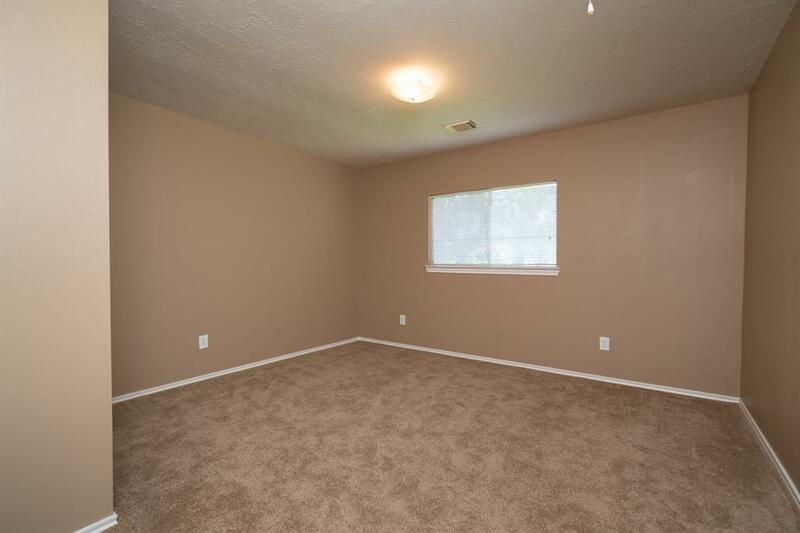 An impressively sized family room offers a gas log fireplace, dual ceiling fans, backyard views, and a nearby flex space that could be a utilized as a bedroom or study with Jack & Jill bathroom. 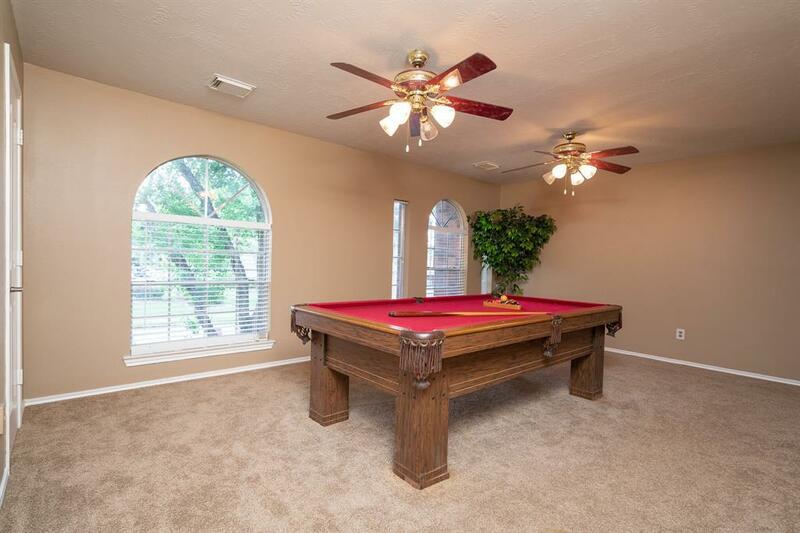 Upstairs, the private master retreat with trayed ceiling, a central gameroom with included pool table, and 3 secondary bedrooms allow space to spread out! 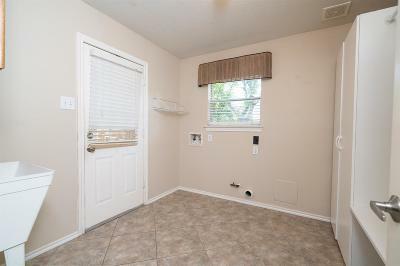 Recent A/C & water heater add value. Outdoors, an oversized 2 car detached garage with room for a workshop and a HUGE fenced backyard with plenty of space to add a pool!